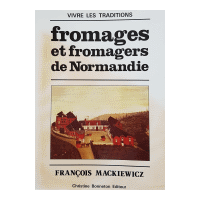 You will find below a list of books devoted (entirely or in part) to this cheese. 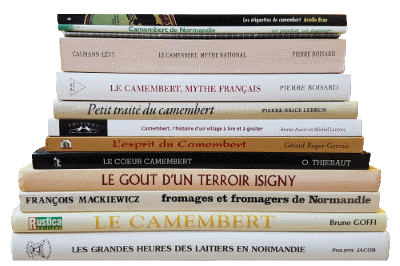 One of the most interesting book regardng camembert and that has even been published / translated in English. You may find a load of informations in this book, but the author who is an sociologist, tried also to replace this history into a larger perspective, and one is forced to admit that this was a bright idea. Today, this may looks like an "old" book, because of its outdated photos and drawings (even if some of them are delightful), neverthless It remains one of the most complete one, with informations, hardly read since, and it is written by a man who seems to have known some of the main characters of this history. A tought book even if it contains hundreds of illustrations. 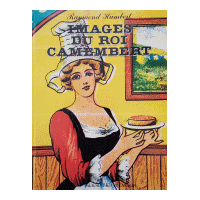 Like the previous one, it does not focus only on the camembert cheese but it provides a good glimpse at what was the cheese industry in that era. 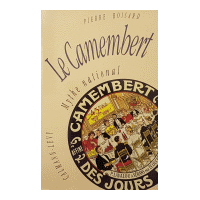 Written by a native of the Auge country, and published with the help of the Graindorge factory, a book rather rich even if it is a bit too focused on the camembert area, and sometimes a bit too wordy. 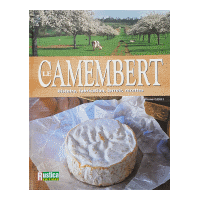 If you know nothing about the camembert and Camembert. This may be the good book for you. 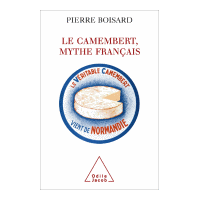 The book of a "tyrosemiophile" (a cheese label collector) which swarms with information on the Camembert cheese but focuses on its most famous labels, the publishers and methods of printing of them. Contains many interesting illustrations. 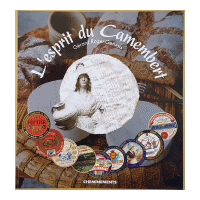 This short 2006 book showed well the specificities of the traditional Camembert cheese, while putting them in perspective with the imperatives of production, farmers and industrialists ... A book perfectly adapted to those who want to understand the importance of the discussions around the "AOP" label, and we could even regret that some did not read it before trying to change standards. The very nice introduction of the author makes you want to look at this quite lively and rather well done little book (no revelations, but well done). Only downside, the choice to intersect chapters by recipes is pleasant, force to read them (and they are good), but complicates the reading. 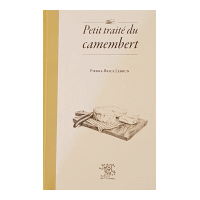 This book preproduces a short notebook written by Cyrille Paynel, one of the pioneers of Camembert production in the Auge country. 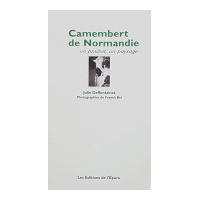 This book allows a dive into what is a prosperous Augeronne farm in the 19th century; buildings, organizations, production. Remarkable testimony but surely more for specialists. 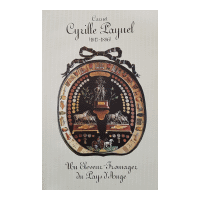 Note: The cover presents the very beautiful "trophy" of Cyrille Paynel gathering all its medals and awards, and which is visible at the Museum of Normandy in Caen. 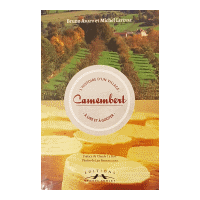 A book that focuses on the village of Camembert and which revolves around chapters that sometimes resemble scholarly articles, which implies a lack of transitions between the various chapters. 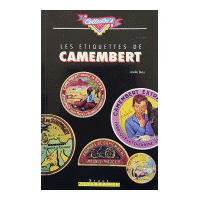 However, we learn a lot about the village, its inhabitants and its history and therefore also about the Camembert cheese. 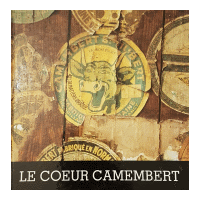 If beyond the Camembert cheese, you want to discover the history of the village of Camembert, it is surely a good choice. A nice little book to get started if your are interested in the the collection of cheese labels. One can be hindered by the somewhat dated aspect the layout and by the somewhat dull side of some black and white illustrations. 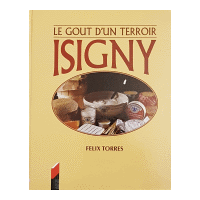 It is not quite fair fot this already old book which was one of the first to focus on the cheese label collection ("tyrosémiophilie"), its history, and which tried to classify the themes recurring in the labels. Moreover, the book contains many labels pictures, some quite rare. 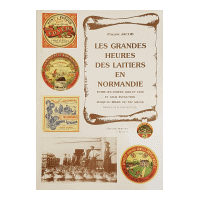 A very thorough hagiography on the Isigny Sainte-Mère cooperative, very interesting if you want to discover this story but a little specific anyway! 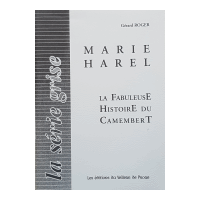 By one of the founders of the Camembert Museum, the story of Marie Harel. Pleasant, but more anecdotal.